Don't forget to visit WKJV Radio's Homepage. We are very proud to bring the world old-time KJB preaching and a great variety of gospel music! We MUST continue because. . . ."If We Don't, Who Will?" If you have any questions or suggestions you can email me here. Click here and add this page to your favorites! 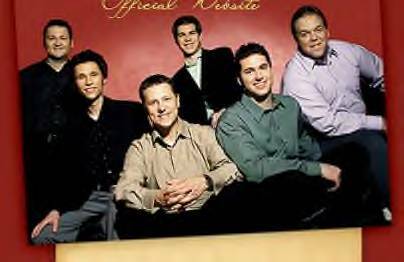 GospelMusicFan, net is an comprehensive news and information network for the southern gospel music concert-goer. Offering a variety of information on the Gospel community, including award shows and more. We are a loving and Christ centered group, putting Jesus first in our lives, and encouraging and loving each other. We are women who love the Lord and Encourage each other..KJV only. 113 Christian Comic Strips, Puzzles, Sweepstakes and Wallpapers! Over 200 sites!!! Teen sites, bookstores, forums, radio stations plus much more!!! SISTERS in Christ are special women...their heart is given to the Lord and their ministry from then on is one of supporting, reaching out, encouraging and teaching.